It took long enough didn’t it? 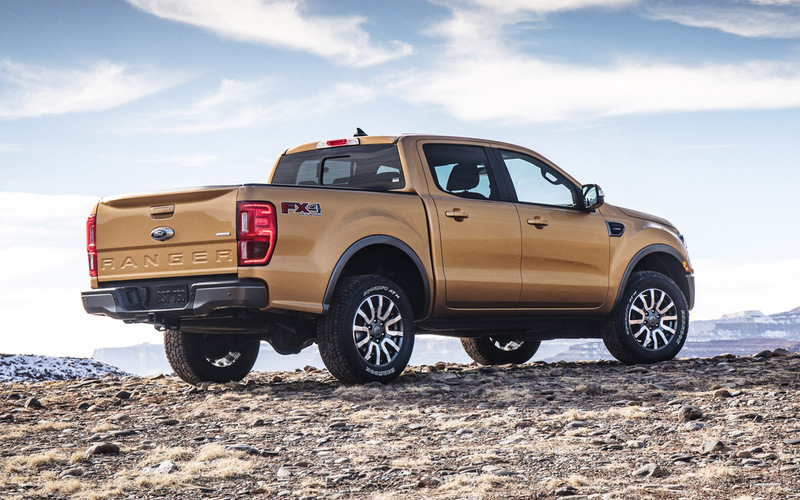 The 2019 Ford Ranger has finally been revealed at the Detroit Auto Show, returning the blue oval to the mid-size pickup truck class. 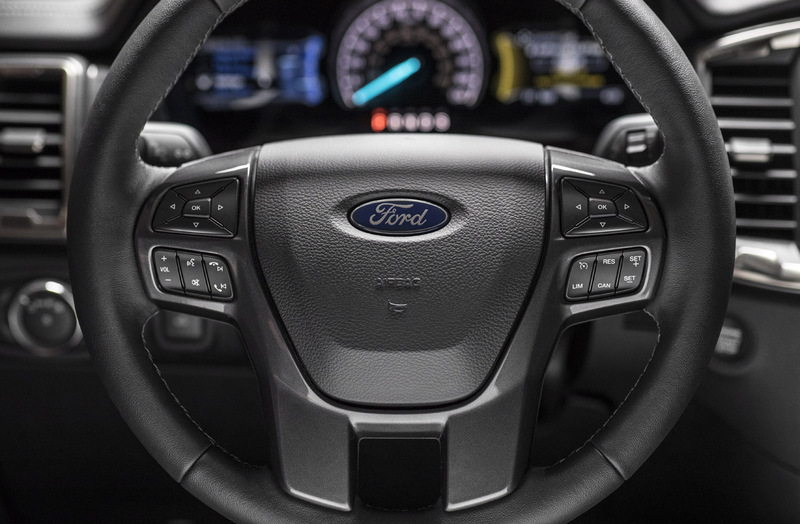 We’ve waited so long it seems for Ford to show their hand here. 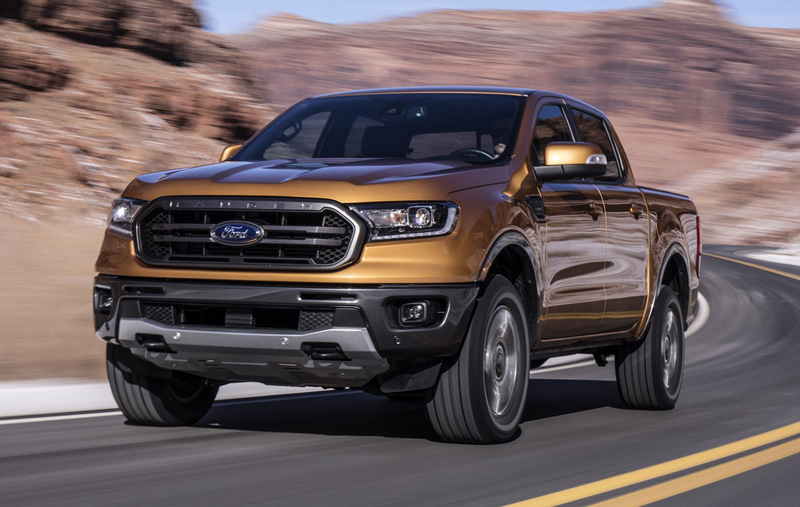 And with the 2019 Ford Ranger they bring a truck to the game that will compete with the Toyota Tacoma, Nissan Frontier and GM twins Chevrolet Colorado and GMC Canyon in typical Ford fashion, offering something just a little but different. 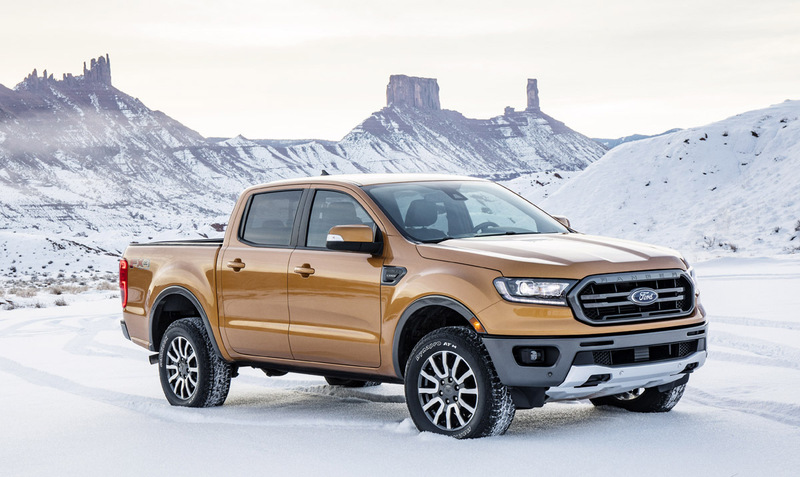 Getting the guts on the table right up front, the 2019 Ford Ranger will debut in North America with only one powertrain, a 2.3-liter EcoBoost four-cylinder engine with a 10-speed automatic transmission. 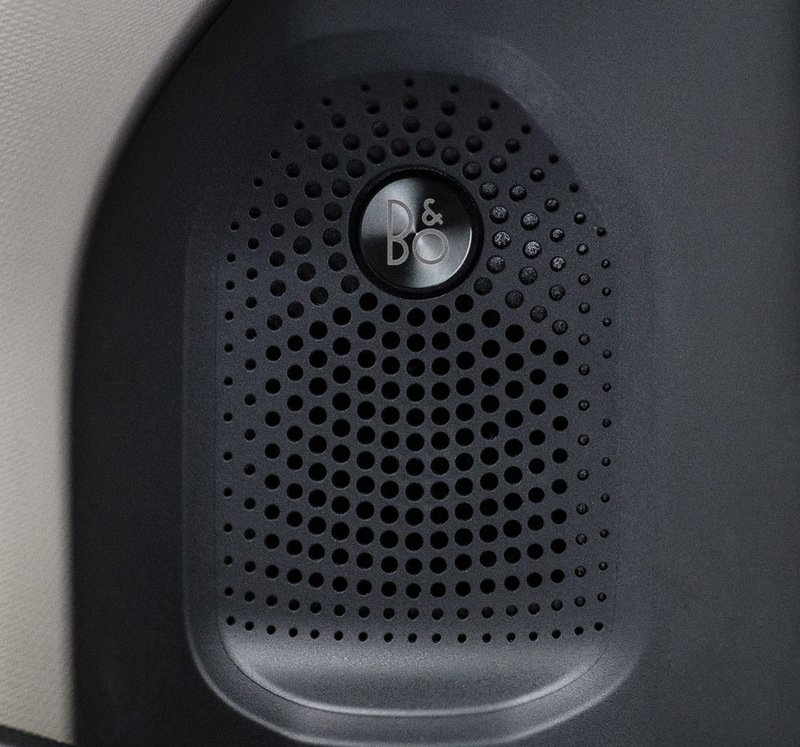 At launch no V6 or diesel will be available, and it’s not impossible to believe they may never be. 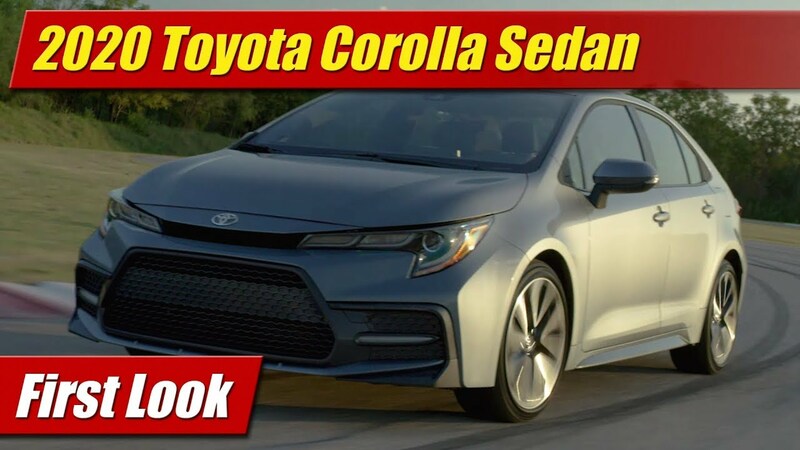 While horsepower and torque haven’t been announced, the engine produces anywhere from 280 to 350 horsepower in other applications. 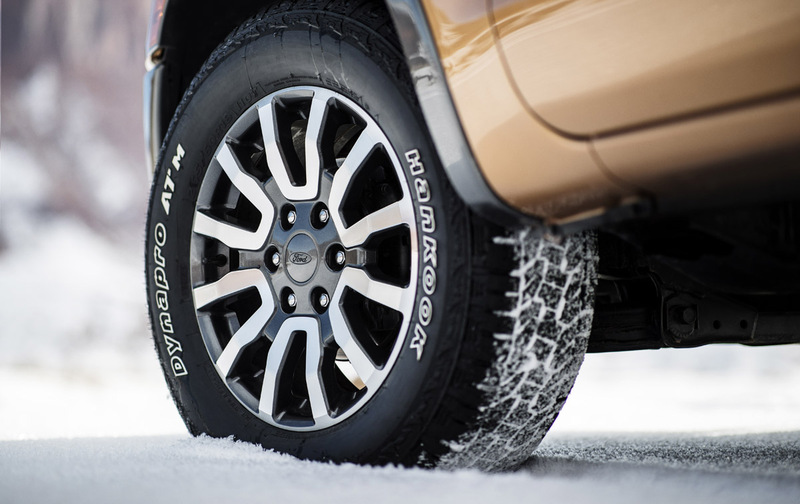 Torque ranges from 310 to 350 pound-feet. This means the truck tune could very well fall anywhere in between. 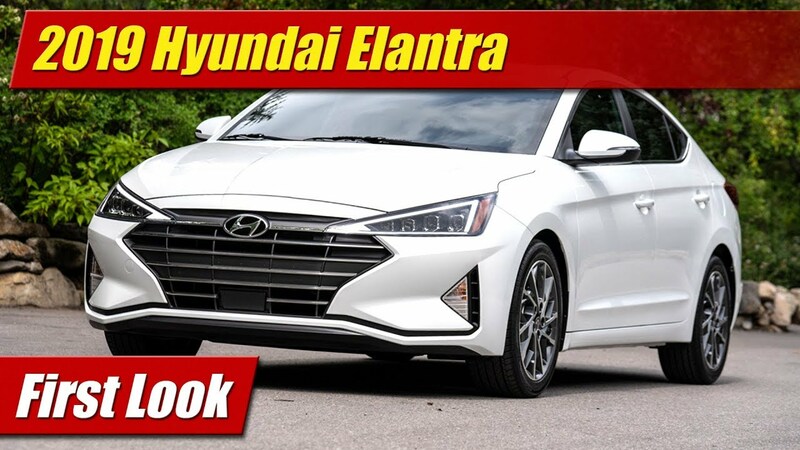 Most importantly it could easily beat the horsepower and torque specs of the V6 engines in all three competitors but will be the standard equipment. While a diesel engine is available in other markets Ford says nothing about its availability here and now for us, and contrary to rumor the more powerful 2.7-liter EcoBoost V6 is also not part of the immediate future. 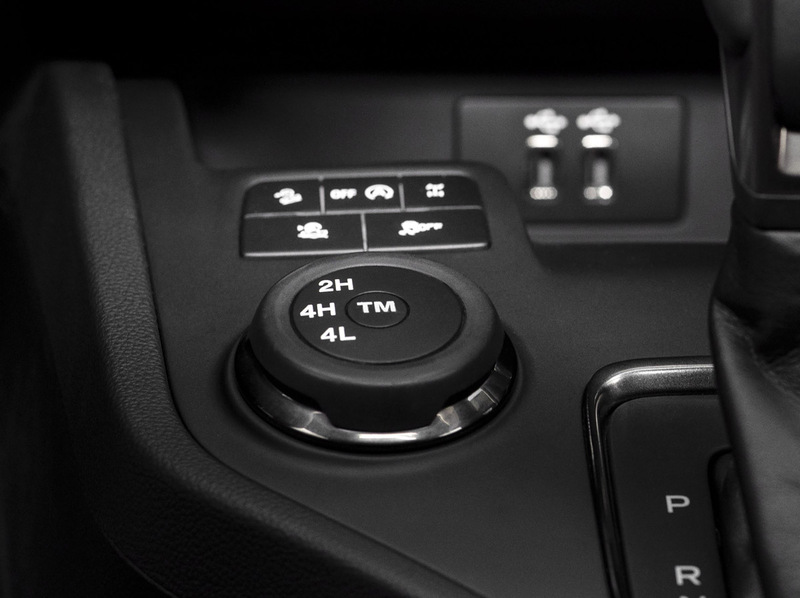 It will be available in both two and four-wheel-drive with the expected 2H, 4H and 4L settings. 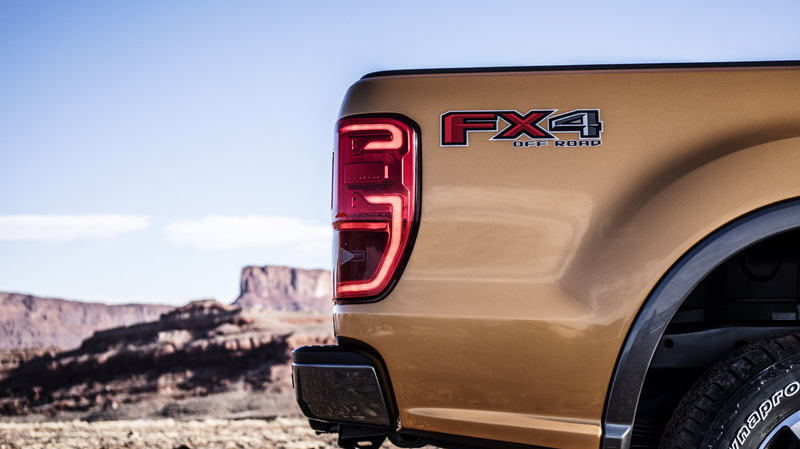 Stepping up to the FX2 or FX4 will get you a locking Dana AdvanTEK rear axle. 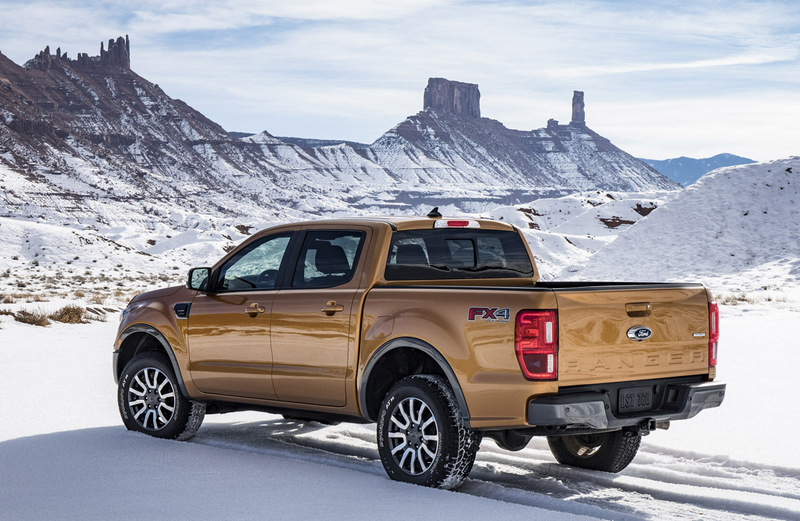 The FX4 Off-Road Package shown here also gets a variation of the same Terrain Management System found in the F-150 Raptor with four drive modes – “normal”, “grass, gravel and snow”, “mud and ruts”, and “sand”. 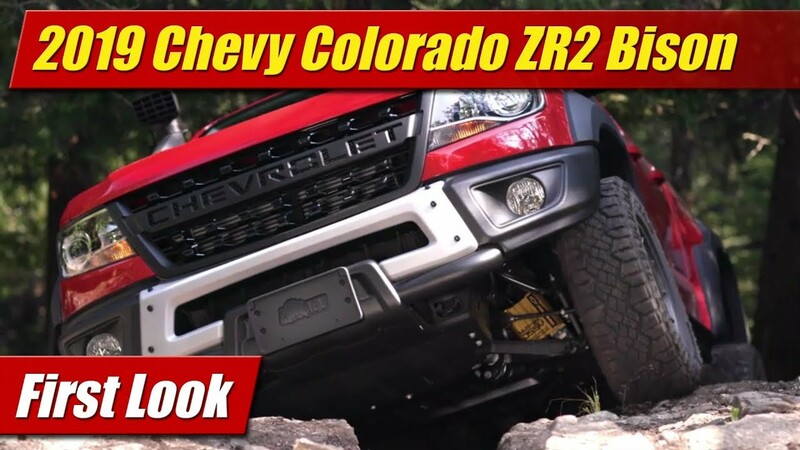 You also get a new “Trail Control” system that operates much like the “Crawl Control” found in the Toyota Tacoma TRD Off-Road, that allows automatic speed and traction articulation in the rough. 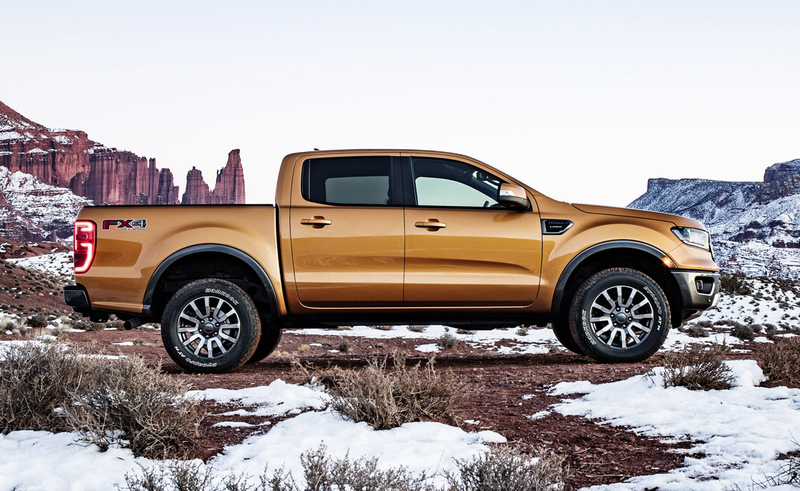 When it comes to styling, Ford didn’t stray too far from the global Ford Ranger pickup upon which ours is based. The body structure and much of the exterior skin is steel with aluminum used in selected places. 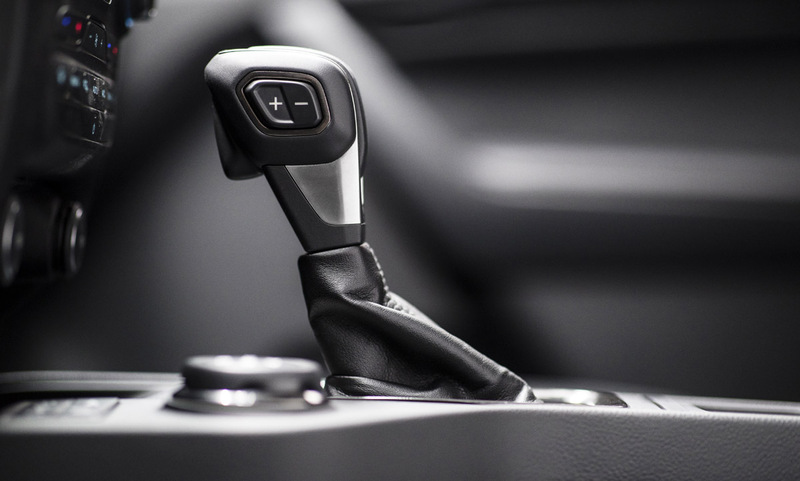 The frame however is fully boxed and uses heavy doses of high-strength steel to meet our market demands for capability and our penchant for crash safety. The facial features are unique to us as is the hood and many of the subtle details you see as you walk around it. 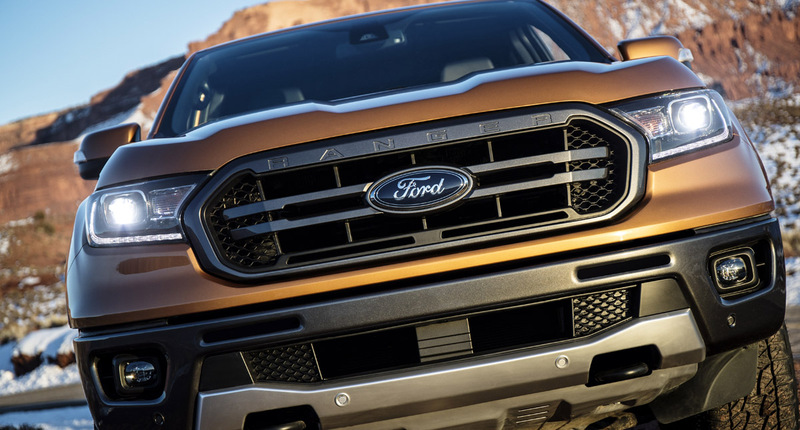 Grilles will vary across the trim grades from XL, XLT, and Lariat. 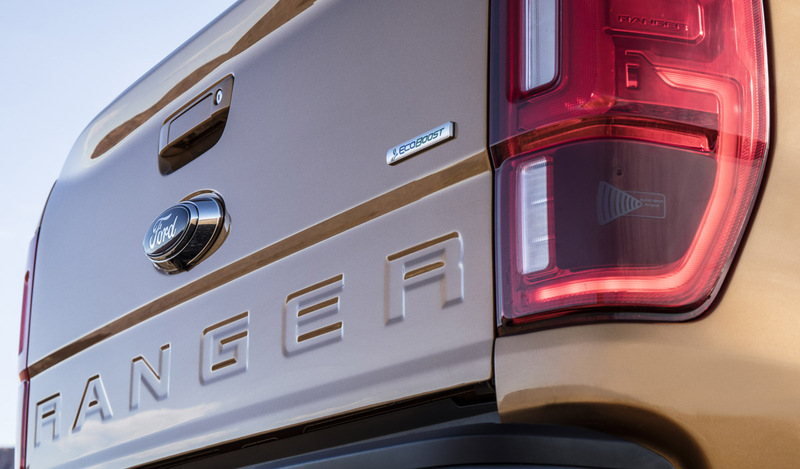 The aluminum rear tailgate gets stamped in RANGER letting and the integrated spoiler we’ve come to expect from the F-150. 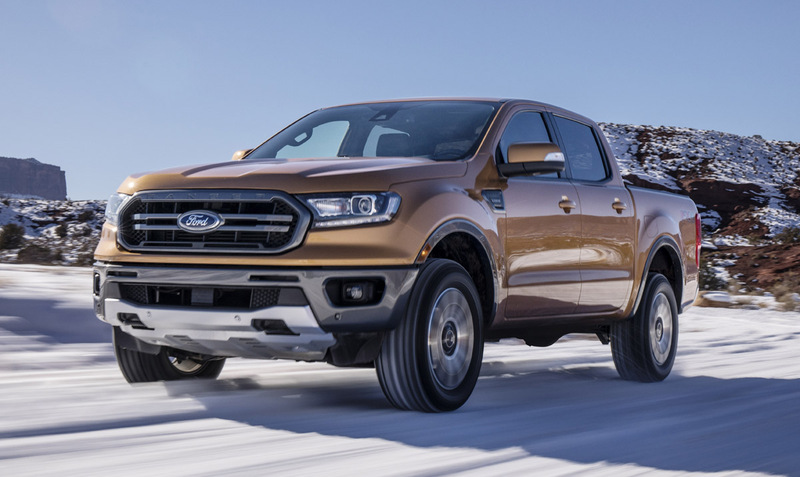 Available in only one wheelbase, the 2019 Ford Ranger will be available with a SuperCab and medium length box or SuperCrew cab with short box unlike its competitors that offer a short or medium box with the full size cabs. 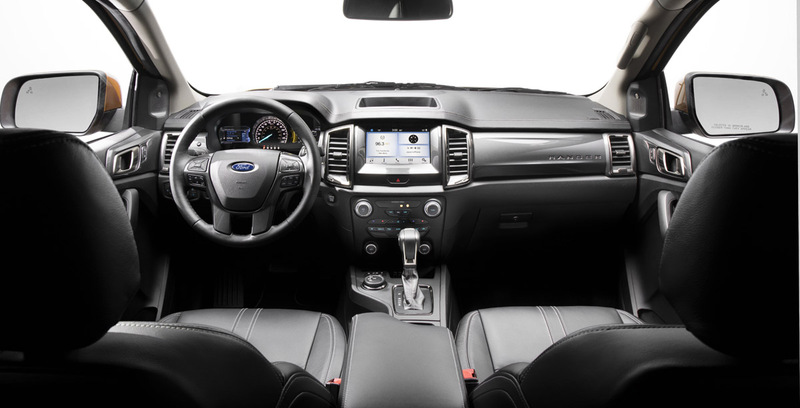 The cabin like the exterior looks a lot like the global Ford Ranger though trims and details are revised to meet our market wants and needs. 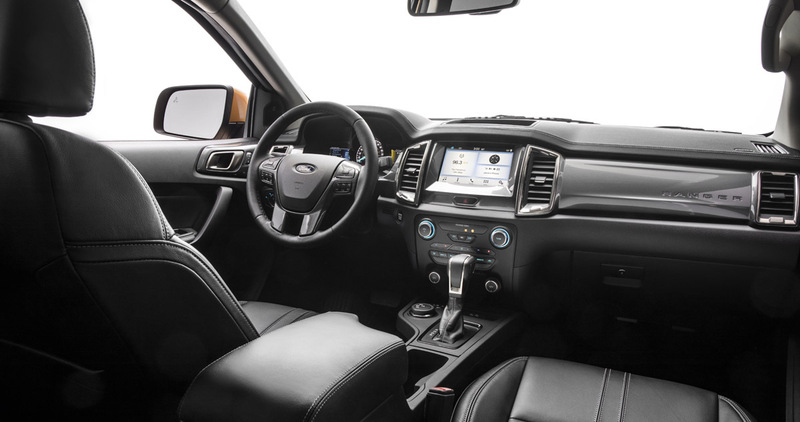 The debut truck shown in Lariat trim features all the good stuff like leather seats, LCD instrument cluster, SYNC 3 touchscreen infotainment and more. 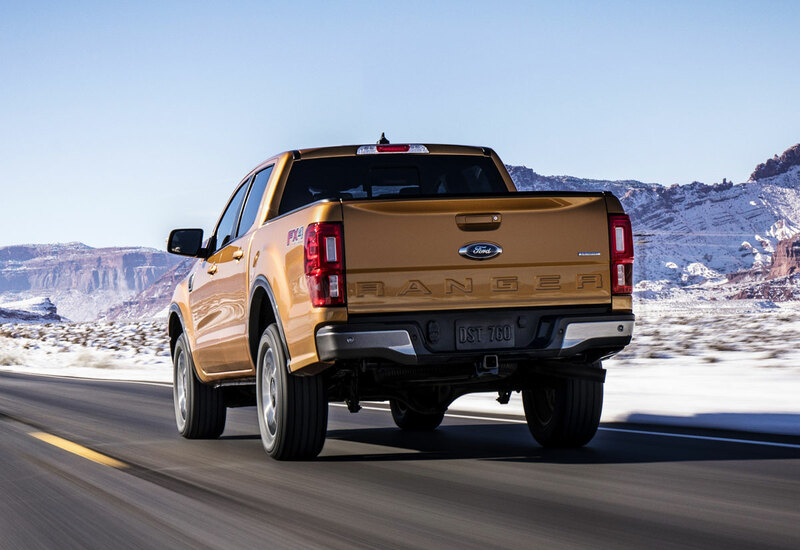 When it goes on sale late this year it will offer class leading driver-assist technologies like automatic emergency braking, lane keeping assist, lane departure warnings and blind spot information with trailer assist much like its larger F-150 brother. 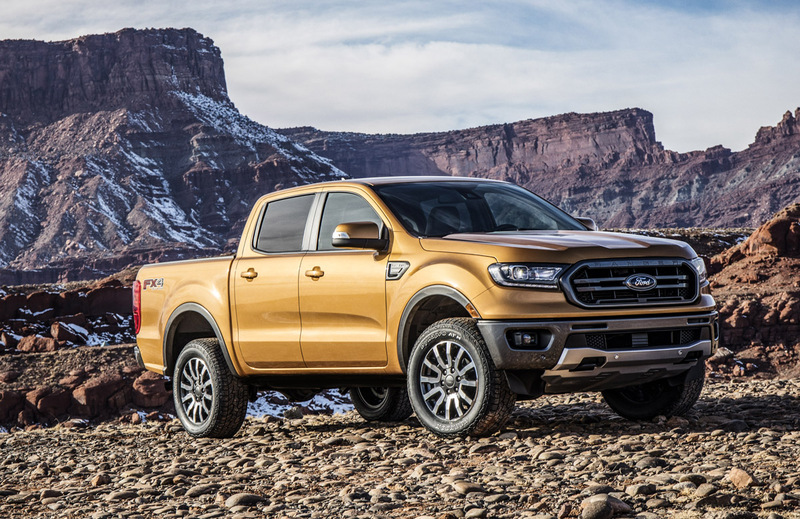 The 2019 Ford Ranger will begin production later this year at the Wayne Michigan assembly plant just outside of Detroit and will be built alongside the new Ford Bronco SUV. 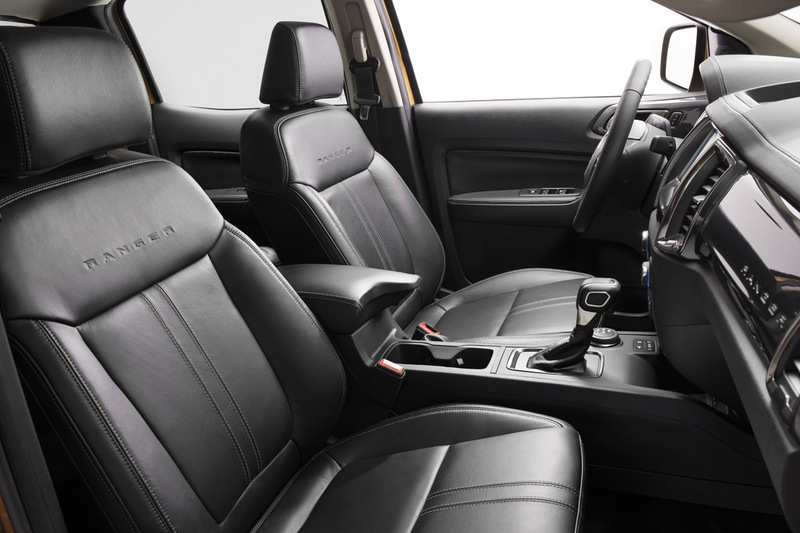 Pricing and final specifications will be announced closer to its on-sale date this fall.